In keeping with the holiday tradition, we joined the Jewish Food Experience to celebrate its annual Latkepalooza. For the second night of Hanukkah, we gathered at Commissary, one of our favorite neighborhood haunts (see our brunch review), for good cheer and lots of potato pancakes. The Jewish Food Experience celebrates ”Jewish food with modern twists, international flavors, tastes for holidays and occasions, and the DC Jewish food scene,” so I was excited to try something new. 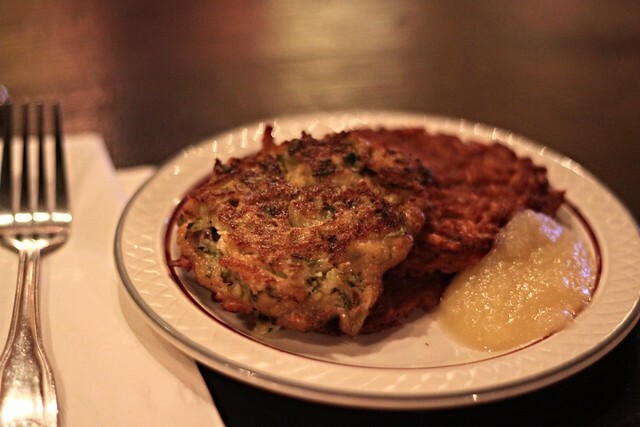 They had your standard potato pancakes, plus sweet potato latkes and a version withBrussels sprouts. I never knew I was missing Brussels sprout latkes in my life until this very moment and now I will never be going back. 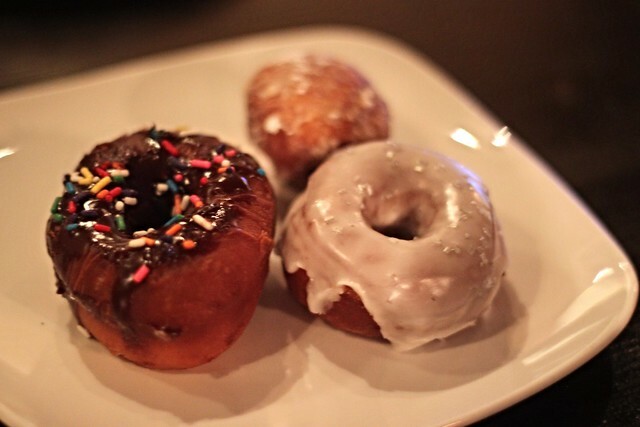 For dessert, we noshed on apple jam, lemon, and Nutella doughnuts. 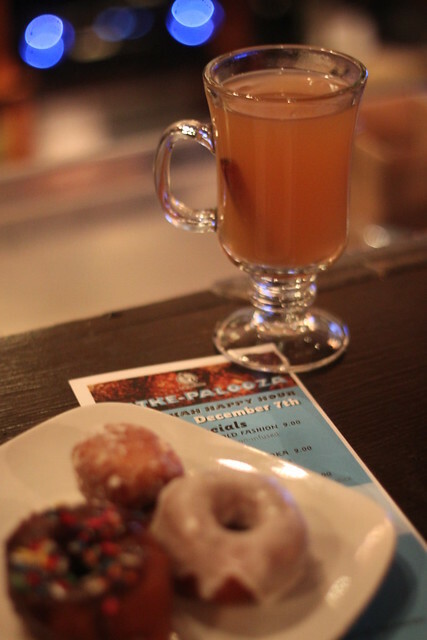 The craft drink selections included an apple-cinnamon Old Fashioned, a sparkling lavender vodka, and a spiked caramel apple cider, as well as beer and wine specials. I enjoyed the yummy food, welcoming community, and holiday spirit.